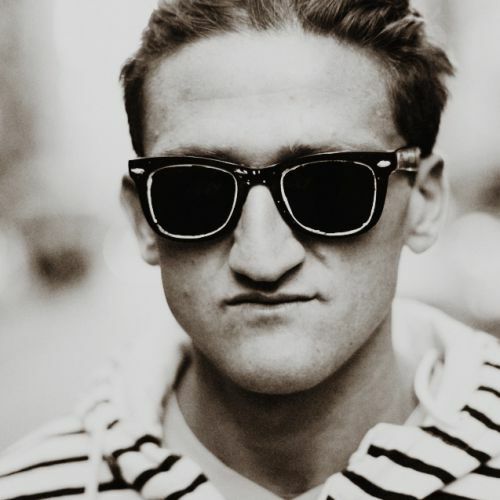 New York-based Casey Neistat makes movies and commercials for a living. He had a television show on HBO and produced the film Daddy Long Legs, which premiered at the Cannes Film Festival and won an Independent Spirit Award. Obviously he’s done a lot more than that in his career but he kind of thinks those highlights seem the most impressive. His favorite thing, really, is YouTube, which he says he would make videos for full time if he didn’t have any responsibilities. And speaking of responsibility, he had a kid when he was 17 – apparently he’s huge now and can drive a stick shift.